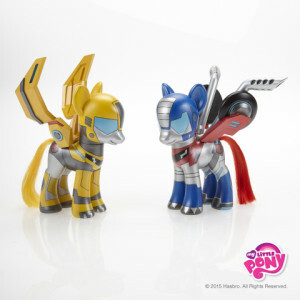 My Little Pony takes Comic Con by storm! This year, one of the pieces shown at the panel was this animatic from the upcoming episode 5.24 entitled “The Mane Attraction,” featuring a wonderful new song sung by Tony Award winning Lena Hall. While the identity of the pony singing is as yet unknown, I’ve heard speculation that she’s a member of the Apple family, since we’ve already been told there will be an episode featuring the Apple family in Season 5. I think it’s a safe bet: for one thing, the theater is shaped like an apple! Plus, that could be a gingham collar on the pianist’s dress, the Cutie Mark Crusaders are featured prominently (one of whom is Apple Jack’s baby sister, Apple Bloom), and I’m pretty sure that’s Apple Jack herself getting emotional in the audience! This episode features the work of writer Amy Keating Rogers, and was her last episode for the show before she went to work for Disney. Get yourselves to Equestria LA coming up, and you can ask her all about it: she’s scheduled as a guest at the convention! There’s only one thing I want more than to know the name of this song and this pony, and that’s to see the finished project! Especially with those unicorn horns glowing in the crowd instead of lighters. Hasbro’s plan is to release one short per week until the airing of the third Equestria Girl movie on September 26, 2015. However, the Spanish Youtube channel for My Little Pony Equestria Girls has leaked four Equestria Girls shorts. If you speak Spanish, you’re ahead of the game. Enjoy! If you would rather be spoiler free, stop here and wait for next week’s short. Shorts #2 and #3 can be found on Equestria Daily’s website here, while shorts #4 and #5 can be found on Equestria Daily here. It’s interesting to see how well the lip syncing works in Spanish, especially since American (or Canadian) animating takes the care to match the mouth shape to certain vowels and consonants, whereas in anime the mouth is usually just opened or closed. Where they have some trouble is in the musical numbers. If you are a nitpicker and look at the Spanish version of “Perfect Day for Fun,” you’ll catch a few spots where the lip syncing is not quite right. Still, it’s pretty good, considering some of the sentences have to be changed to fit the music. None of these shorts are music videos yet, but we still have a few weeks to go. Before “Rainbow Rocks,” we had “Perfect Day For Fun” and “Music To Her Ears.” Then, earlier this year, we got “My Past is Not Today,” “Life is a Runway,” and “Friendship Through the Ages,” so I can’t complain. What I am complaining about is that “Friendship Games” is not being released in theaters! Last week, Hasbro announced that there would be a Equestria Girls short every Saturday until the airing of the third movie, “Equestria Girls: Friendship Games.” Here is the first one, released last Saturday, 8/1/15. Still wish it was going to be released in theaters. 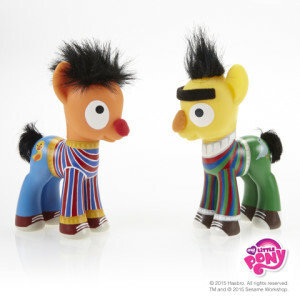 Bert and Ernie. Lucy and Ethel. Laverne & Shirley. What do all of these legendary BFF’s have in common with the likes of us geeks? 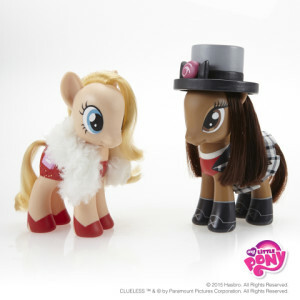 My Little Pony…or they will soon, thanks to Hasbro! In honor of International Friendship Day, the company will be using My Little Pony: Friendship Is Magic as a vehicle to celebrate by releasing five sets of special edition pony figures depicting some of entertainment’s most famous pairs of best friends as ponies. The sets include Transformers (Bumblebee & Optimus Prime), I Love Lucy (Lucy Ricardo & Ethel Mertz), Clueless (Cher & Dionne), Laverne & Shirley (Laverne De Fazio & Shirley Feeney), and another timeless childhood classic, Sesame Street (Bert & Ernie). 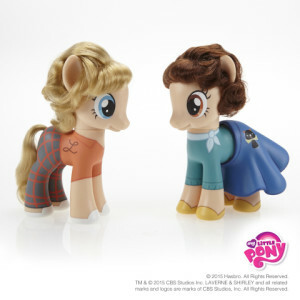 In conjunction with the release of these figures, Hasbro has also utilized the popularity of the My Little Pony franchise to team with the youth division of Points of Light, generationOn, launching a global service campaign that uses the Mane Six to teach children about helping others, encouraging children and their families to celebrate friendship through acts of kindness and the power of volunteer work in their schools, neighborhoods, and local community. If you’d like more information on the outreach project, as well as how to get involved, you can visit their website. To get in on the conversation on Instagram and Twitter, just use the hashtag #MLPFriendshipDay. 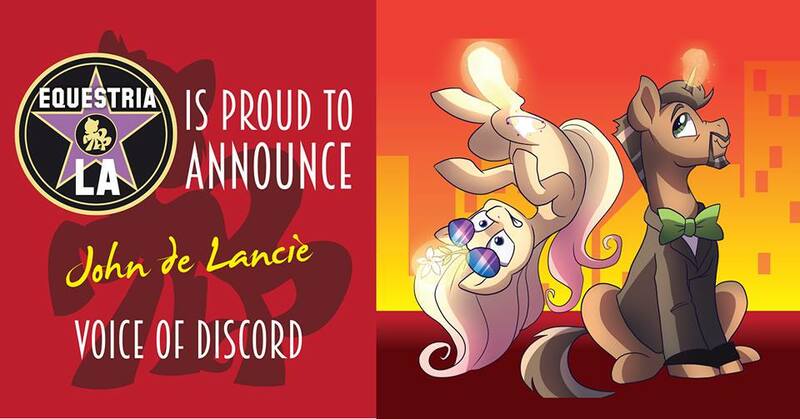 G. M Barrow: Author of the “My Little Pony: Friendship Is Magic” chapter books, the recently released Discord and the Ponyvile Players Dramarama, the Daring Do Adventure Collection, and an upcoming season 5 episode. Jenn Blake: “My Little Pony: Friendship Is Magic” comic book illustrator. Tabitha St. Germain: The voice of Rarity, Princess Luna, and Granny Smith. Gabriel Brown (aka Black Gryph0n): Singer, actor, voice actor, songwriter and animator known for such songs as Proud To Be A Brony and Paper Sky, and his “licious” series (TwilightLicious, Rainbowlicious, etc). Michelle Creber: Speaking/singing voice of Apple Bloom and the singing voice for most of Sweetie Belle’s songs on My Little Pony: Friendship Is Magic. Bonnie Zacherle: Creator of the original My Little Pony and My Pretty Pony (the precursor to the My Little Pony line). For more information on the guests, go to Equestria LA’s website. Most of these guests have way too many other fannish credits to list here. You can also visit their Facebook page for all the latest news and updates. Remember, both Time Siren and I will be there. Find us and say hello, we’d love to hear from you! Maybe we’ll all go out to Hayburgers for lunch. MLP: Friendship Games – I’m so Nervousited! Hasbro Studios has just released the first trailer for My Little Pony: Friendship Games. The appearance of the human Twilight has long been anticipated. She was hinted at in the first movie when our Twilight met the human Pinkie Pie, then she was shown after the end credits in the second. In addition to this, dolls of the Human Twilight were shown off earlier this year at the New York Toy Fair. I can see that half of my Christmas list this year will be Equestria Girls dolls! I want the Nerdy Twilight/Flash Sentry set, and I need a Sunset Shimmer. The other half will, of course, be Lego…I am the AFOL (Adult Fan Of Lego) Husband, after all. From here on, there are no spoilers: I don’t know any more than you do. These are just my thoughts, comments, and hopes for the third Equestria Girl movie. If you visit sites like Deviant Art and Derpyburu you will see that there is a lot of speculation that human Twilight is evil, a sort of mad scientist, but I don’t necessarily think that’s true. From what we saw in the second movie, Human Twilight is a student of science, much like our Twilight is a student of magic. Human Twilight figured out that there was something strange going on at Canterlot High, so in this movie I think she’s going to take advantage of visiting Canterlot High for the Friendship Games in order to investigate what’s going on. There is a shot in the trailer of her sneaking around the statue that is the portal between the two worlds that would seem to confirm this. There is also a shot that would appear to be Sunset Shimmer facing off against Twilight. Magic is popping up around Canterlot High, and I think Twilight, in her investigations, is going to tap into magic she can’t control, which another shot would seem to confirm. I think in the end Sunset Shimmer, being the only girl from Equestria, is going to have to save Twilight, and possibly Equestria, from disaster. At least that’s the direction I hope the movie will go. In “My Little Pony: Friendship is Magic,” Twilight is my favorite pony. As Xander from “Buffy the Vampire Slayer” once put it, “smart chicks are hot!” In the movies, however, Sunset Shimmer is my favorite character…not so much in the first movie, but definitely in the second. If you think about it, her path is similar to “Xena: Warrior Princess”. She was once evil, turned away from her ways, and now struggles to redeem herself and be accepted. It would make sense if the third movie goes the way I hope. Then this movie would complete a trilogy revolving around Sunset. In the first movie, Twilight is the protagonist. She starts with the fear that, “Just because I have this crown and these wings, it doesn’t mean I’ll be a good leader.” In the end, she proves she is a leader by taking what she has learned about friendship into a strange world, making new friends, and leading those friend in defeating Sunset Shimmer. In the process, we learn that Sunset rebelled against Princess Celestia and went to the human world to plot her revenge. In the end, she is defeated, repents, and is left to learn about friendship. In the second movie, Sunset is the protagonist. Though she has repented, she still does not fit in because the students at Canterlot High still remember what she did. The five friends that do accept her have formed a band, but she isn’t in it. So, even with friends of her own, there is still the feeling of being an outsider. Then there are the Sirens, bent on causing division among the students, who remind her of her dark past. In the end, the six girls need her voice to defeat the sirens, she has her magical transformation moment and becomes one of this world’s Mane Six – or should I say, Human Six. An interesting side note: at the end of the second movie, Sunset writes to Twilight in the book that connects both worlds. It’s not a big deal in the movie, but it is in the Ponyverse. Newly crowned Princess Twilight Sparkle now has someone writing to her about friendship in the same way she had been writing to Princess Celestia. It’s an underplayed moment, but it’s the moment where we see that the student, Twilight, has become the master. I don’t know yet who will be the protagonist in the third movie. It could be Sunset, having to step up from just being accepted and helping save the world as part of a group to having to save two worlds on her own because she’s the only one who knows how to deal with magic. Or it could be human Twilight, wanting to investigate the strange occurrences at Canterlot High, where she gets in over her head with Equestrian magic and realizes there are things her scientific background has not prepared her to deal with. Either way, there is one thing I feel needs to happen. After saving one or both worlds, Sunset needs to go back to Equestria and reconcile with Princess Celestia. This would bring her character arc full circle: she rebelled against Celestia, went to another world to plot her revenge, repented, redeemed herself, became a hero in her new world, then in her home world, and returns to reconcile with the one she originally rebelled against. And from the first movie, we know that Celestia would welcome her back. Now a few things I would like to see happen: Celestia welcomes Sunset back to Equestria, but after everything that’s happened with her friends who are about to graduate, Sunset decides to stay with her human friends as they begin the biggest adventure of their lives – adulthood. And I think Celestia would grant her permission to come back and visit now and then. In the new movie I’d also like to see a moment between Rainbow Dash and Scootaloo. Maybe Rainbow Dash coaching Scootaloo’s soccer team. In the end of the first movie, Rainbow Dash gets her wings during her transformation. Then what does she do? During the dance, she grabs Scootaloo, throws her on her back and shares with her this incredible new ability to fly. Those five seconds of screen time confirmed that the human Rainbow Dash and Scootaloo have the same kind of relationship that the pony pair do. The only disappointment I see is that it appears Friendship Games is going straight to cable and DVD, as it has a premier date of September 26 on Discovery Family. The second movie was out in the theaters for only one weekend with limited distribution, so I missed it. When I saw the opening credits on the DVD, I thought to myself, “Man, I wish I’d seen this in the theater.” In any case, I am looking forward to another great Danny Ingram score. So, in the end, Human Twilight is hinted at in the first movie, revealed in the second, and becomes a major character in the third. 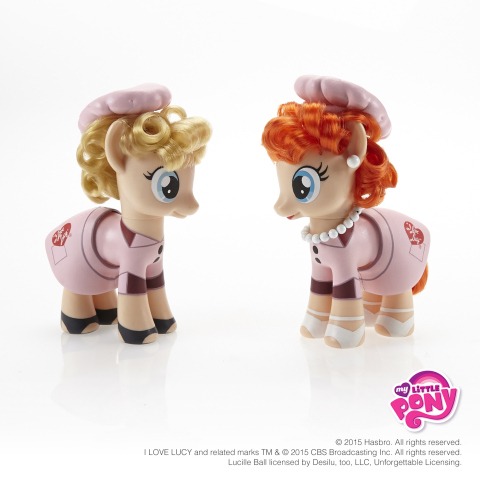 Doesn’t this all beg the question… isn’t there a second Sunset Shimmer? Equestria L.A. (September 4-6, 2015) is one of the cons Time Siren and I are saving up our bits for. It will be our first My Little Pony con. Even if you aren’t into MLP, you have to admit it’s quite a phenomena. When looking up a pony con near us, I found that there were twenty seven in the U.S. last year alone, and that doesn’t count all the ones from Germany to Japan. Not bad for a half-hour show, aimed at kids, with only four full seasons under it’s belt, and it’s 100th episode coming up. June 3: Book a room at Equestria L.A.s venue, the Anaheim Hilton and get a hotel key adorned with Andy Price’s art. This is something I have never seen in almost three decades of con going: an electronic hotel room key with exclusive convention art on it! Now, that’s a souvenier! May 21: FinalDraft to host VA panel. FinalDraft is the premier software program for screen writing. I’ve never seen them host a panel at any other convention. I’m impressed. May 20: EQLA is offering discount #TwilightTickets for evening entry into Disneyland. If you’re not familiar with area, The Hilton and Anaheim convention center are literally across the street from the Disneyland Resort. May 19: The original creator of My Little Pony, Bonnie Zacherle, will be at the convention.